Nokia 6.1 Plus and the Oppo Realme U1 are both affordable smartphones with a beautiful body design and a bezel-less display. Both phones are 2018 budget device and they are equipped with impressive cameras set-up and enough inbuilt memory. Although they are from different brands, still they almost offer the same user experience. We will be comparing the Nokia 6.1 Plus with the Oppo Realme U1 smartphone. On the body, the Nokia 6.1 Plus is built with the combination of Aluminum Alloy and glass. The phone measures 71.0 mm x 147.2 mm x 8.0 mm in dimensions and weight 151 gram. The Oppo Realme U1, on the other hand, is built with the combination of plastic and metal. The phone is a little bit heavier as it measures 74.0 mm x 157.0 mm x 8.0 mm and 168 gram. Both phones have a rear-mounted fingerprint scanner and they are available in multiple colors. On the front, they both have a notch and they offer a bezel-less display as well. The Nokia 6.1 Plus has a screen size of 5.8 inches FHD+ with a resolution of 1080 x 2280 Pixels and 435 PPI density, while the Oppo Realme U1 has a screen size of 6.3-inches FHD+ with a resolution of 1080 x 2340 Pixels and 409 PPI density. Both phones have a display protection and they are equipped with IPS, LCD capacitive touchscreen. 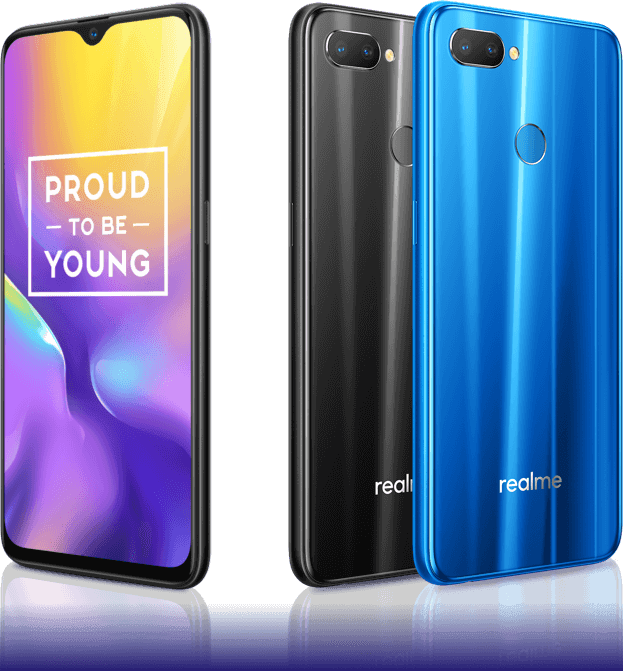 The Realme U1 has a bigger screen and higher screen to body ratio as well. The Nokia 6.1 Plus has a dual rear cameras of 16 Megapixels + 5 Megapixels with dual LED flash and a front camera of 16 Megapixels with Face Recognition, F2.0 Aperture, and 1.0 um Pixel Size features, whereas the Oppo Realme U1 has a dual rear cameras of 13 Megapixels f/2.2 + 2 Megapixels F2.4 with an LED flash and a front facing camera of 25 Megapixels with f/2.0 Aperture, Face Recognition, and ony IMX576 Exmor RS sensor. On the overall, the Nokia 6.1 Plus might take better photos on the main camera, but on the front, the Oppo Realme U1 will take better selfies. The Nokia 6.1 Plus has a Qualcomm Snapdragon 636 chipset with an octa-core processor clocking at a speed of 1.8GH, while the Oppo Realme U1 has a MediaTek Helio P70 chipset with an octa-core processor that runs at a speed of 2.1 GHz. 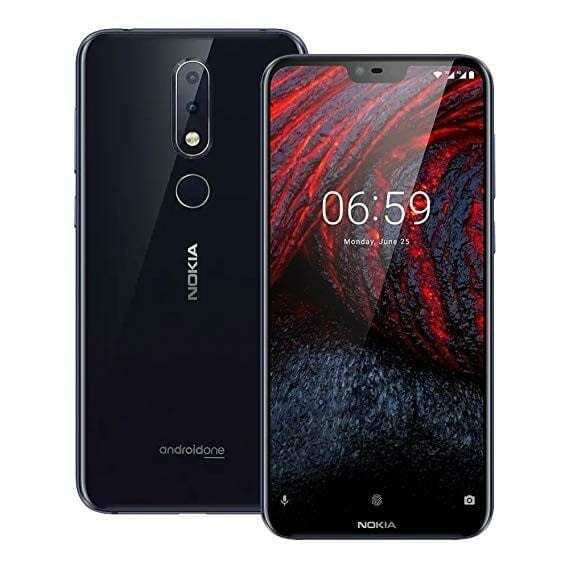 The Nokia 6.1 Plus has Qualcomm Adreno 509 GPU with 4GB RAM and internal memory of 64GB which is expandable, while the Oppo Realme U1 has ARM Mali-G72 MP3 graphics with 3/4GB RAM and internal memory of 32/64GB which is also expandable with micro SD card. Both phones run on Android 8.1 Oreo operating system and they have support for 4G LTE network. The Nokia 6.1 Plus has a nonremovable battery capacity of 3,060 mAh with fast charging technology, while the Oppo Realme U1 has a nonremovable battery capacity of 3500 mAh with fast charging technology as well. The Nokia 6.1 Plus will cost around $180, while the Oppo Realme U1 will start selling at a price of $159-$199. Although they have different chipsets, however, they will still offer the same performance to users. The Oppo Realme U1 looks more beautiful and elegant and it also has a bigger screen and bigger battery capacity as well. The Oppo Realme U1 and the Nokia 6.1 Plus will surely make a good budget phone. Which one will you choose?